The C-47 was developed in the late 1930s as a commercial airliner (DC-3). The DC-3 was quickly developed into a military cargo and troop transport by the US Army and many allied nations during World War II. 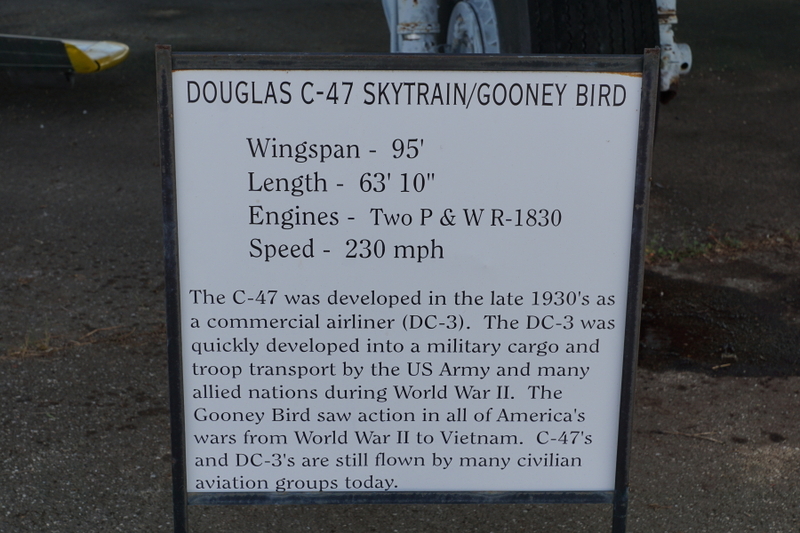 The Gooney Bird saw action in all of America's wars from World War II to Vietnam. C-47s and DC-3s are still flown by many civilian aviation groups today.